Over the last thirty years, Dutch author Toon Tellegen has written over 300 stories about a group of anthropomorphized animals. This book is contains nine of these stories that all, in one way or another, relate to parties. The stories are whimsical, delicate, and quiet. The characters glory in lists, details, and internal discourses. The book itself is beautifully and thoughtfully produced (down to a bright ribbon bookmark). It is charming, bittersweet, and perfect for bedtime. 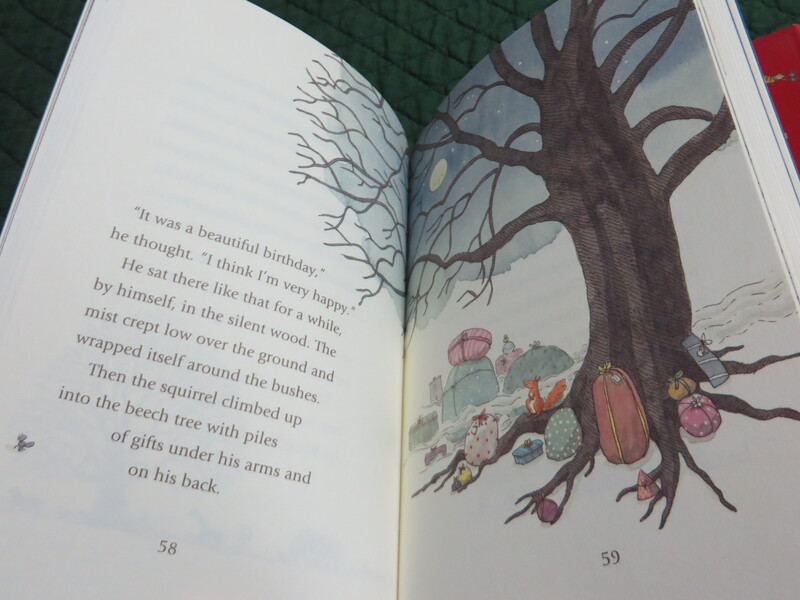 This entry was posted in Chapter Books and tagged Animals, bedtime, birthday, food, Jessica Ahlberg, series, The Squirrel's Birthday and Other Parties, Toon Tellegen, translated. Bookmark the permalink.